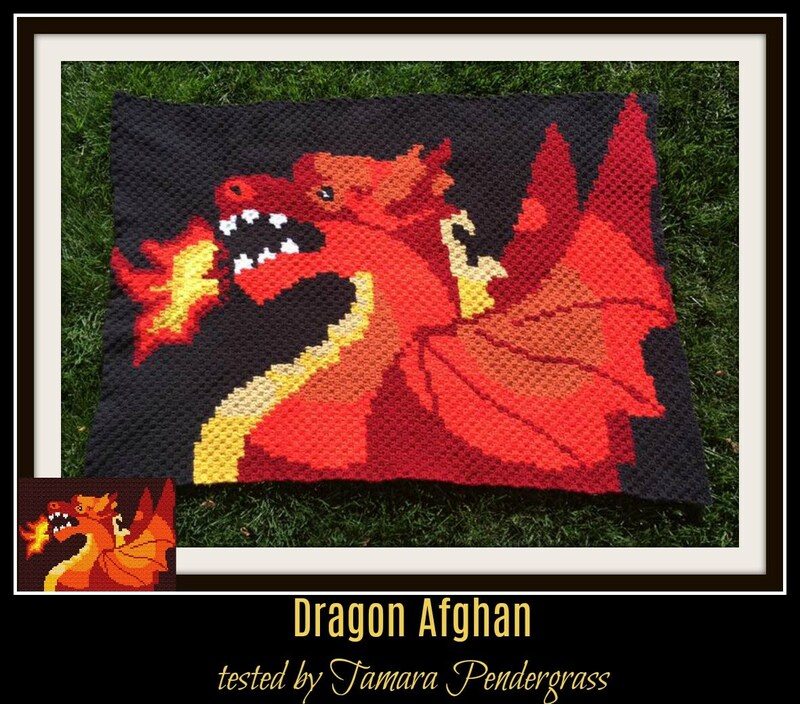 Thank you for considering our Dragon Corner to Corner (C2C) crochet graphs and instructions. Whether you use the colors in the graph or experiment a bit like a few of the testers did, this afghan looks amazing! The Dragon afghan pattern also has a page that gives additional measurements and yarn requirements for Sport or Baby #2 yarn using either hook F, G or H - Light Worsted Weight Yarn #3 using either hook F, G or H - Medium Worsted Weight Yarn #4 using either hook G, H or I so you can find the right size for you.